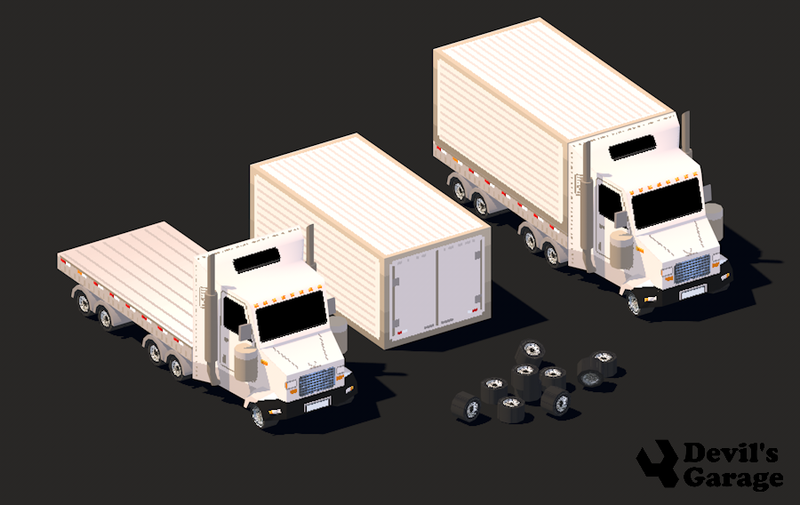 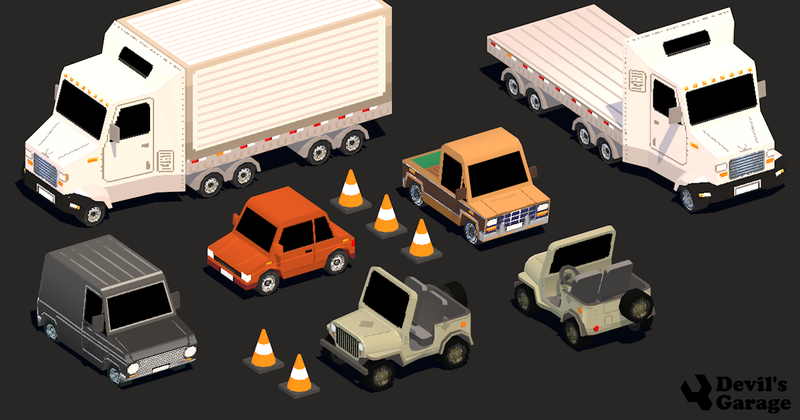 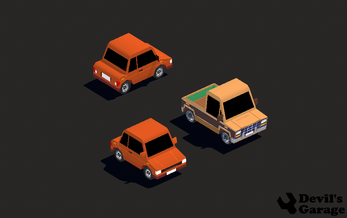 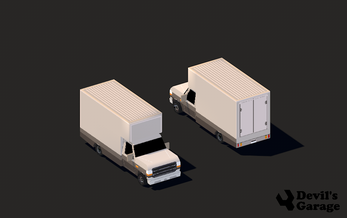 The Devil's Work.shop Low poly Pixel art 3D asset pack contains 5 vehicles. Each vehicle is cleanly modeled, textured, unwrapped, and UV mapped. Some vehicles like the flatbed truck have vehicle separation so the container detaches. 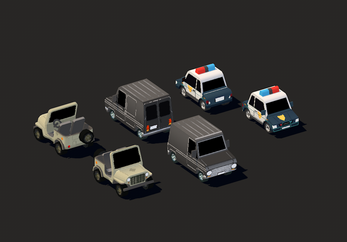 All the vehicles have separate wheels so that they can be programmed with vehicle controls or physics. 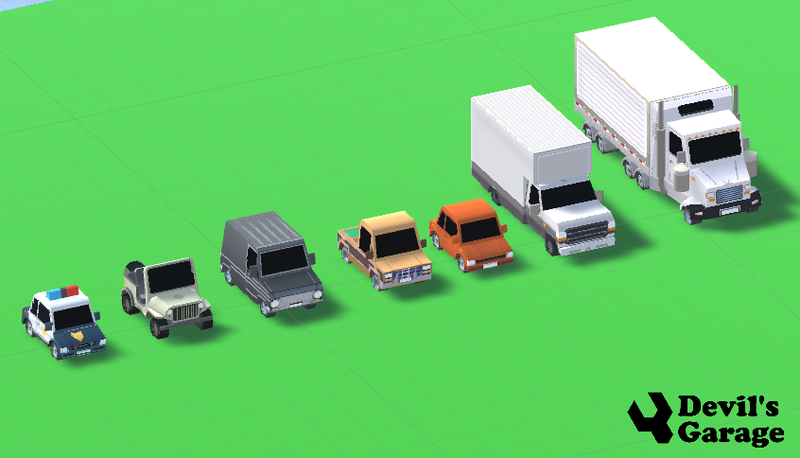 The mesh and texture are very small and can be used in car / vehicle game.